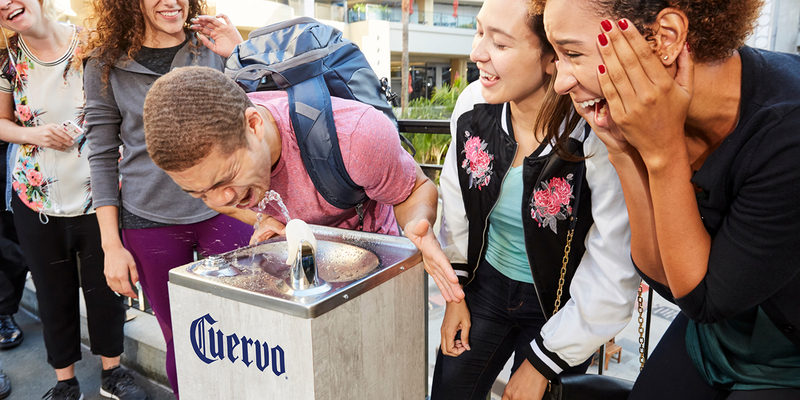 Visitors to Hollywood and Highland sample the Jose Cuervo fountain on Monday. 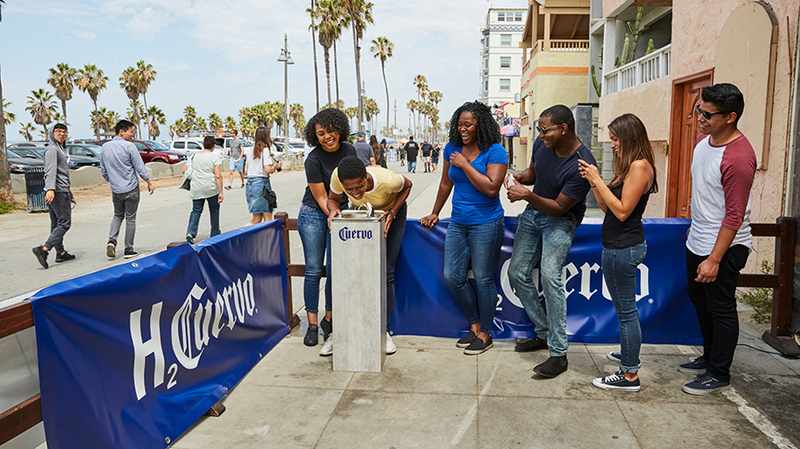 The fact that National Tequila Day fell on a Monday this year didn’t stop Jose Cuervo from celebrating in style. 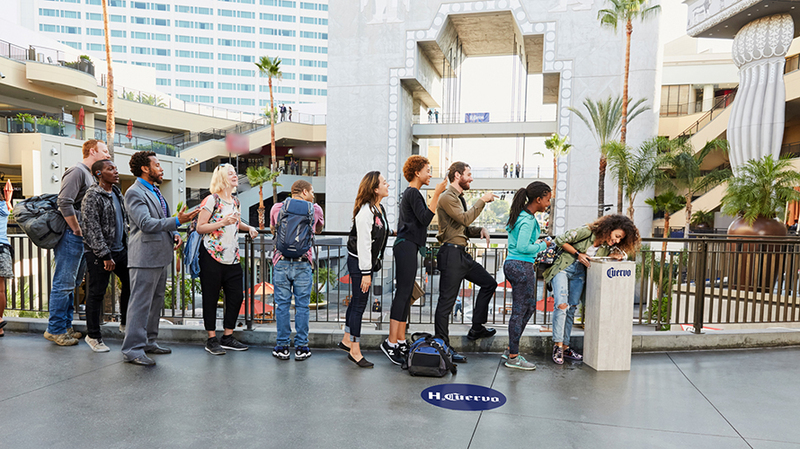 The brand, via agency CP+B, set up three special water fountains in Los Angeles to dispense silver tequila, but sadly only for today. Tequila fountains were set up at the Hollywood & Highland shopping center, iconic West Hollywood gay bar The Abbey and on the Venice Beach Boardwalk. While CP+B didn’t have final turnout numbers yet this afternoon (the fountains were running through 6 p.m. PST), a spokesman said more than 300 visitors had sipped from the Hollywood & Highland fountain by 2 p.m.
Below are some photos of some of those who managed to get a taste from the tequila fountains. And yes, the brand reps on site did card visitors to ensure no one underage got to sample the silver tequila.